Line pots with 2-ply of newspaper to prevent dirt running out the drainage holes. Fill Planters one-half full of good topsoil. Do not use potting mixes, compost or peat, etc. Mix in suggested amount of granulated fertilizerfor the size container you are using. Finish filling planter with topsoil. Wet soil thoroughly before planting. Hardy lilies should be planted with their tuber against the side of the planter, at a 45-degree angle with its crown out of the soil. Tropical water lilies and all other aquatics are planted in the center of the planter. Then, slowly lower the planter to the suggested depth for each type of plant. If the plants will be too deep, prop the container up with bricks, inverted pots, etc. Aquatic plants CANNOT be allowed to dry out at all. Lilies and grasses should either be planted in the pond itself after you've prepared and positioned the planter or planted individually and immediately placed in the pond. 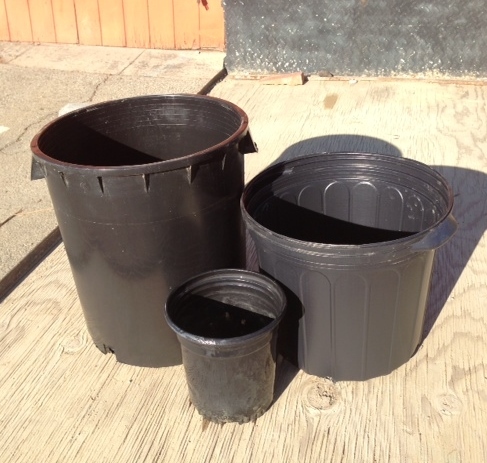 These Black Plastic Planter are an economical alternative to the molded fiber planters. They are ideal for use in ponds, where it is necessary to move your plants such as when cleaning your pond or when you just want to change the look. Their black color helps them to blend in to the background making them almost invisible. They are available in three sizes. Rambunctious pond fish like to tug and pull on oxygenating grasses, making it difficult for them to get properly rooted and established. Fit one of our covers over each pot - your fish can look but not touch! Fits over 1 gallon size pots. 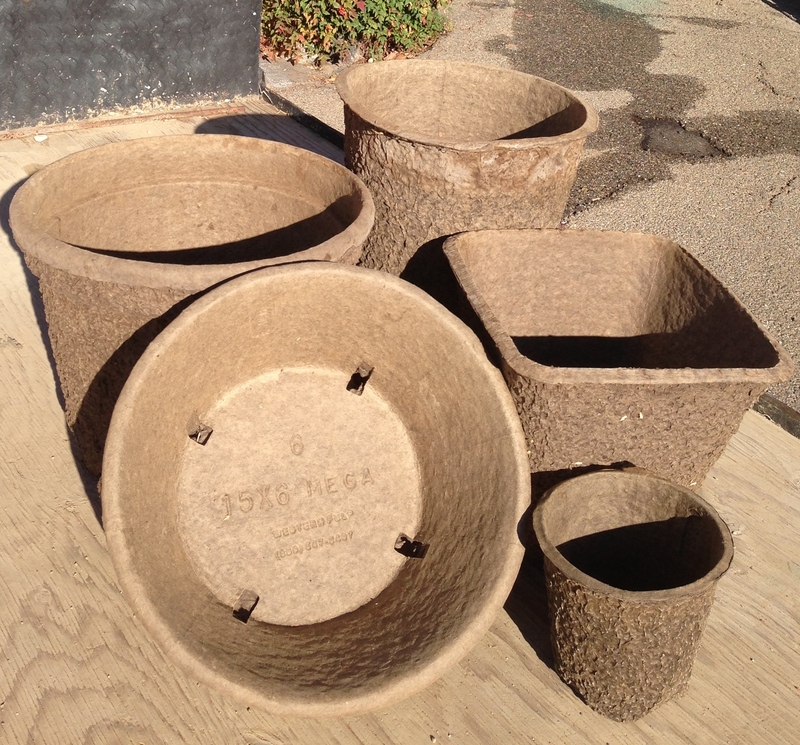 These molded fiber pots provide your aquatic plants the advantage of passing nutrients and fresh water to the plant's root zone. 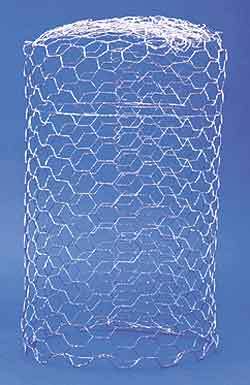 They hold up well underwater and allow the root system to expand with the plant, reducing the frequency repotting is needed. Older, root-bound plants that can receive proper nutrients via the porous pots will bloom profusely. Replant every 6 to 10 years. Vitamins and hormones solution encourages rapid formation of roots on all transplanted bare root plants. Soak rooting ends of plants in solution for 15 minutes before planting for faster growth and establishment. 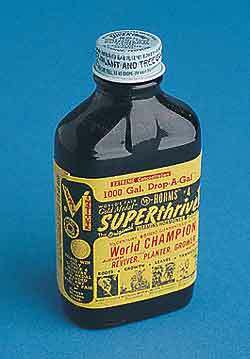 Highly recommended for hardy and tropical water lilies, bog plants and rooting ends of oxygenating grasses. Great for houseplants, too! This is a convenient method to feed all of the aquatic plants. 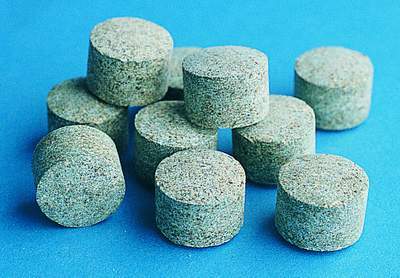 Each fertilizer tablet gives a slow continuous release of nutrients. To use, make a hole in the soil at least two-thirds down and then push fertilizer tablet down. Push soil back into place to cover hole. Use 1 tablet per gallon of soil per month. Our aquatic soil is locally renowned for its quality and ability to produce great plant growth. Van Ness Aquatic Soil is a perfect loam to allow ease of plant growth and spread of root structure. This soil is specially prepared for use with in your water garden with a good distribution of nitrogen, phosphate, and other micro nutrients needed for solid growth and flowering. Pair this with our VNWG fertilizer tablets and you will be astounded with the growth rates.